Binetti Ottoman Charcoal by Emerald Home Furnishings. 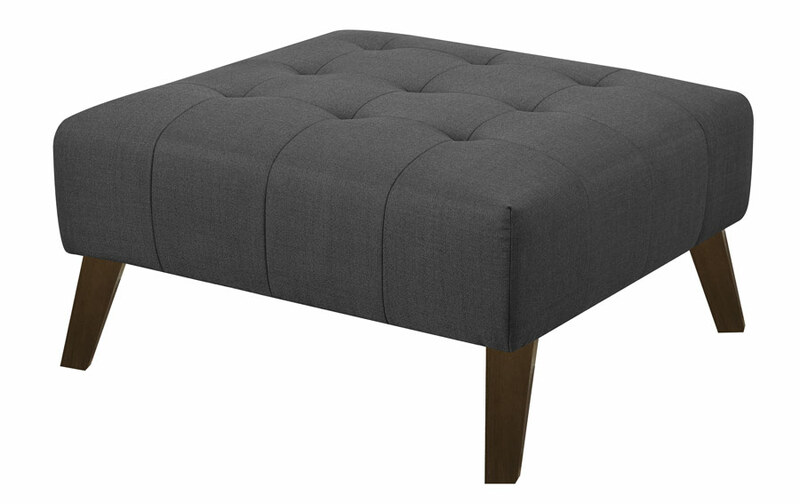 Binetti Ottoman Cement by Emerald Home Furnishings. 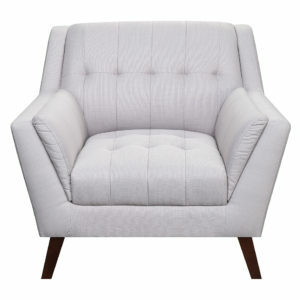 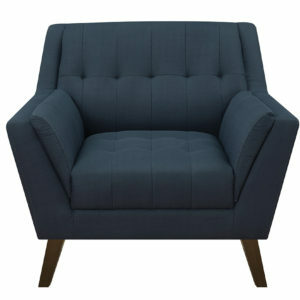 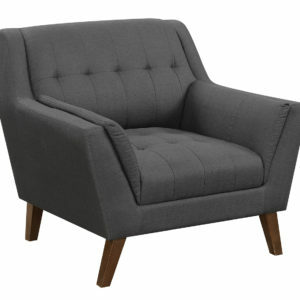 The Binetti collection has a mid-century modern design. 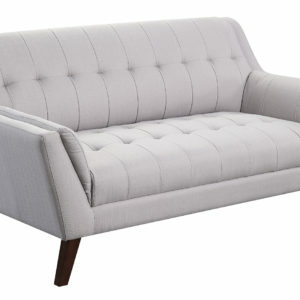 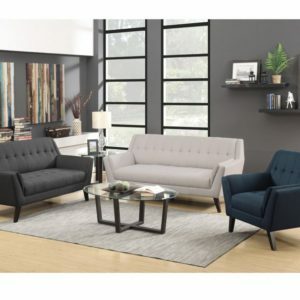 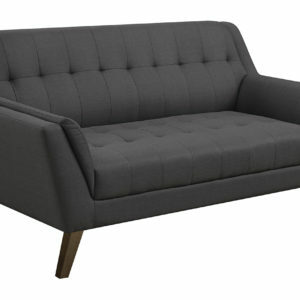 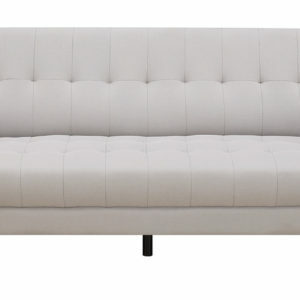 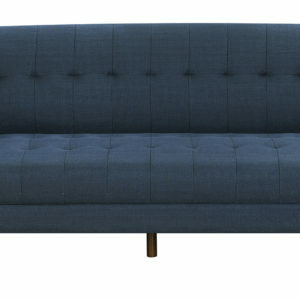 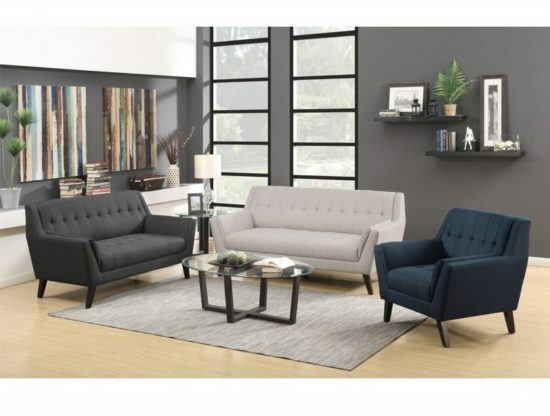 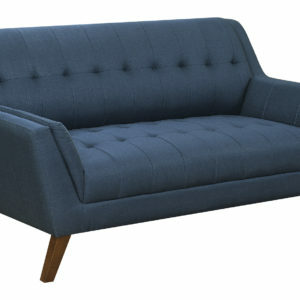 It is offered as a sofa/love seat and as a sectional version as well. 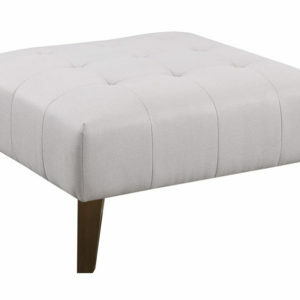 The seat-tufting and back tufting add a design element that can really spark up a room. 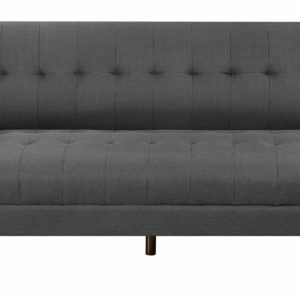 Use this in a small living space or large.